A drink with magical powers? It seems the fountain of youth might be in Brooklyn. Behold, the "healing unicorn latte." The folks behind The End coffee bar in Williamsburg tell Lonely Planet, the drink helps you "tap into your most mystical, colorful and vibrant self." It certainly is colorful, thanks to some blue green algae, lemon juice, honey, cayenne, steamed coconut milk and berries. In case you missed it, the unicorn latte is a latte ... without the coffee. The algae allegedly boosts energy, provides mental clarity, and increases health and wellness by regulating intestinal bacteria, according to the coffee bar founders. If you don't believe in the magical healing powers, take it with a grain of salt -- or with vegan sprinkles on top. They can also top it off with edible flowers. Employees say it's their top seller, at $9 for a 12 oz. cup. For the summer, they plan to offer an iced version. 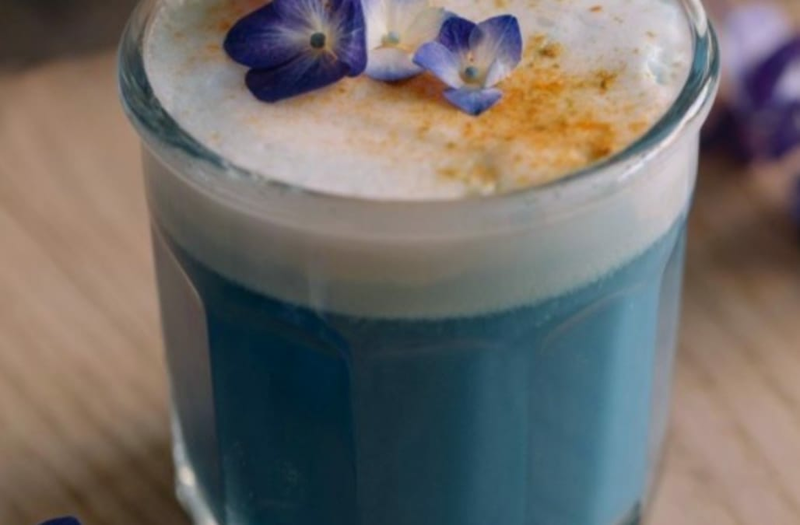 Perhaps you'd buy into the idea a bit more after finding out The End has a plant alchemy bar, where the owners focus on the magic of functional plant medicine in your everyday drinks. A latte is espresso and steamed milk with a small amount of milk foam on top. A cappuccino should be equal parts espresso, steamed milk, and milk foam. A dry cappuccino features less of the traditional steamed milk and more milk foam in its place. A cafe au lait is traditional black coffee mixed with warmed milk. Espresso is specially brewed coffee, created with finely ground coffee beans brewed under pressure with nearly-boiling water. A macchiato, traditionally, is a 'stained' espresso -- espresso with just a dot of milk. An Americano is espresso mixed with hot water. A cortado is espresso that is 'cut' with an equal amount of milk.